The new 2017 Ford F-250s have arrived to Tomball Ford and we’re pleased to present them to you. These Ford Superduties are some of the toughest and most capable trucks out on the road. Whether you’re towing, hauling, or just plain moving, the Ford F-250 is prepared to get the job done. The 2017 is the most advanced F series yet making this work-horse a valuable option for drivers from the greater Houston, The Woodlands, Spring, Cypress, Sugar Land, Texas areas. 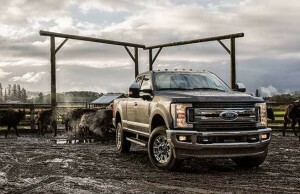 The 2017 Super Duty has an all-new high-strength, military-grade, aluminum alloy body. Because of this new structural design, some of the weight being saved has been reinvested to where it counts the most in a work truck: in an all-new fully boxed frame built of over 95 percent high-strength steel. Also improved are stronger axles, beefier steering, and even some chassis components. The end result is a pickup that’s stronger than ever before, yet up to 350 pounds lighter. The All New 2017 Ford F-250 can be yours now. 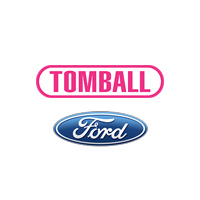 Come down to Tomball Ford and take a test drive of a 2017 Ford Super Duty or continue below to view our full selection of new Ford trucks.